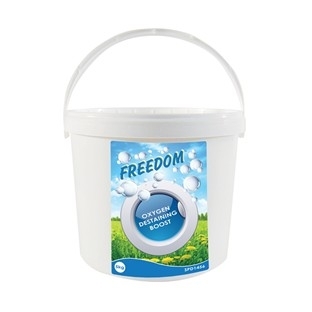 Leaves clothes fresh and clean, with a fresh floral scent. A retail style product at industrial prices! 100% customer satisfaction gauranteed everytime! A retail style product at industrial prices! Guaranteed 100% customer satisfaction everytime! 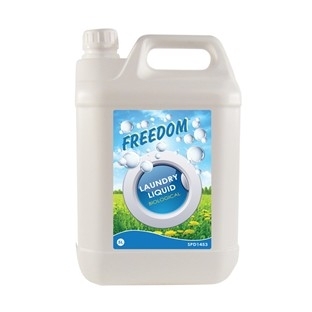 The perfect partner for Freedom laundry liquid. 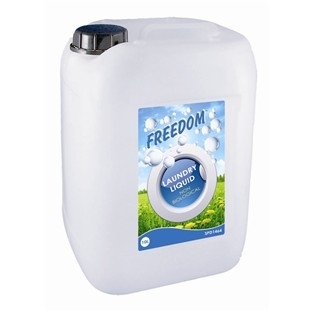 Freedom Easy Iron Fabric Softener will leave laundry soft and refreshed! Specially formulated to take the hard work out of Ironing! 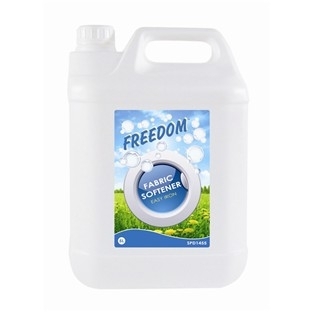 Finish the range with Freedom Oxygen de-staining Boost, formulated to remove the most stubborn stains including tar, faceal mess, wine, food, and other organic stains and odours. Can also be used as pre-soak. SPD1464 1 x 10 Ltrs Leaves clothes fresh and clean, with a fresh floral scent. A retail style product at industrial prices! Guaranteed 100% customer satisfaction everytime! Why 10 Litres? 1. Change less frequently - ideal when using a dosing system. 2. Easier to handle than a 25 Litre meaning less Health and Safety Implications.